The CSU Office of the Chancellor has negotiated a contract with SoftChalk to provide significantly discounted costs for individual SoftChalk Cloud subscriptions for CSU faculty and staff. Additional SoftChalk sponsorship is available to faculty participating in the Course Redesign with Technology program. The CSU Office of the Chancellor has purchased 150 SoftChalk cloud accounts, each valid for two years, in support of its initiative to promote the development of affordable learning materials by faculty and for its students. Faculty who are selected for funding as part of the Proven, Promising, Virtual Labs and Quality Assurance programs, can request an account through the RFP process, with the objective of developing affordable materials for students enrolled in their redesigned course. SoftChalk Cloud’s award-winning, multi-function platform combines content authoring, hosting, sharing and management features with an easy way to build and deliver device neutral content seamlessly through your LMS with gradebook integration. 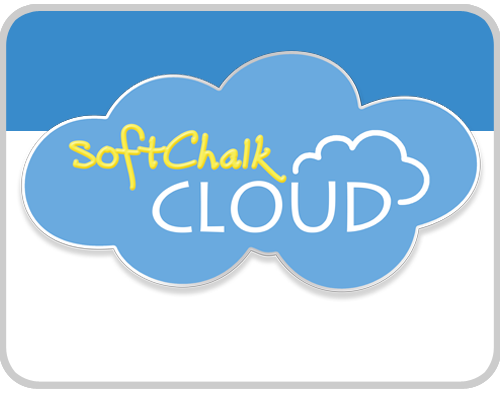 —For further information, download a SoftChalk Cloud flyer or visit www.softchalkcloud.com. Repository search and integration—examples: Merlot, Kahn Academy, Getty Images, YouTube, etc. Automatic content hyperlink generation—each piece of content saved to SoftChalk Cloud is automatically packaged and generates a unique link. This link is used to deliver content via LMS, blog, email, intranet, faculty website, etc. Edits to linked content are made once in the SoftChalk Cloud and simultaneously update to all linked locations. Contact your SoftChalk representative, Paul Miller paul@softchalk.com. SoftChalk will be happy to demo their tool for evaluation purposes and will provide training at a negotiated rate. Purchasing discounted individual SoftChalk Cloud subscriptions is easy—simply contact paul@softchalk.com or sales@softchalk.com and they will be happy to assist. Is one license not enough? There is also the opportunity for larger team-based licenses for your department, college of study or entire campus. Supported web browsers are: Firefox, Internet Explorer 9, and Safari. If your institution has a firewall, please see the FAQ I think my institution has a firewall that is preventing me from saving content to SoftChalk Cloud. What should I do? You can access additional resources from the Help menu in SoftChalk Create or from our SoftChalk Support Center. Register for our free, one-hour online training webinars available from the Help menu in Create or on our Short Courses registration page. Topics include SoftChalk Overview, Embedded Media, SoftChalk Cloud, Quizzes, the SoftChalk ScoreCenter, and much more. View our pre-recorded videos. The videos are only a few minutes long, so they provide a quick way to get up-to-speed on SoftChalk Cloud. If you need additional assistance, please e-mail us at help@softchalk.com. We hope this information provides you with an opportunity to better serve the needs of your faculty, staff and students as they author instructional materials for their teaching, learning, and instructional support. the CDL at 707-664-4340, or by email at info@cdl.edu.